Home / Best Practices, Technology, Industry / Why do we have so many re-works for each artwork? Different departments share information on what should go on the label. Its usually taken from an existing related product label and modified for the current SKU. For the creative person its always confusing on what to keep and what to change. Information is shared in many ways, like Email, Word, Excel, phone or face-2-face in a meeting. All this needs to end up on the artwork without any errors. Designers are juggling between emails, files and notes to figure out what goes on the artwork. Designers are cutting and pasting from emails and files and can easily miss something. Not all the information is given at the same time. “Why don’t you start the work and I will send you more information” is a common statement made by department users. Just when the designer thought they got it all right, someone changes their mind and wants the text changed. Could be a change in the Nutrition Claim text or a missing Trademark symbol, last minute changes are sometimes inevitable. When it comes to colors and font styles, everyone has an opinion. So re-work to keep up with Marketing or Brand’s likes and dislikes are not uncommon. So how do companies deal with this? Here are some things that ManageArtworks can do to help. For starters there is a structured way to share information with the designer. No multiple emails, text files or phone calls. Its all collated and approved through a workflow and sent to the designer online or in the form of a word or excel file. The designer has one file from which to take all the content and instructions. Once the artwork is created, the ManageArtworks text comparison tool can compare the Word document with the Artwork PDF and highlight the differences. The differences could be missing text, additional text, different text, Case differences and Font differences. It also includes an Artwork to Artwork comparison tool that allows users to compare two versions of a file to see what’s changed. 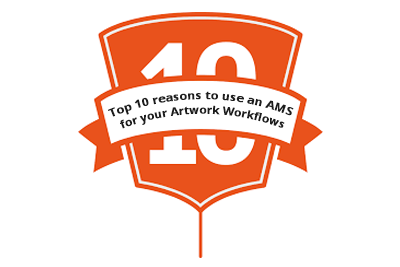 By streamlining the content collation process and using the comparison & proofing tools, ManageArtworks helps in reducing the number of reworks in artwork projects.